The Narrow Edge, by Deborah Cramer, Yale University Press, 2015. $28, 288 pages. 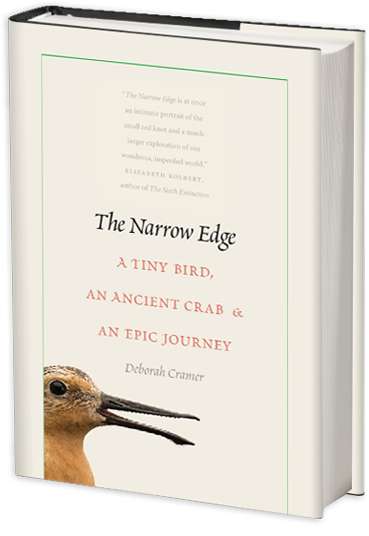 In The Narrow Edge: A Tiny Bird, an Ancient Crab, and an Epic Journey, Cramer explores this flyway by plane, kayak, helicopter, and foot, feeding on history and science as she goes, wrestling with the consequences of human interaction with the natural world. Her journey ends at a scientists’ field camp in the most northern of Canada’s territories, where the red knot lays its eggs. The birds arrive with just the feathers on their backs, while Cramer is weighted down with supplies, bulky clothes, a GPS, and the requisite twelve-gauge shotgun to ward off polar bears. It was the worst summer for shorebirds in the field camp’s history. In her travels, Cramer often sustains herself on pilot biscuits, but the red knot needs high protein fuel and lots of it, preferably the eggs of the homely horseshoe crab. Yet this living fossil, which has survived on Earth for half a billion years, is running out of breeding grounds. The beaches on which it lays its eggs are being destroyed from over-development, rising waters, oil spills, and industrial run-off. As if the crab didn’t have enough to worry about, it is also of considerable value to humans: Aside from its historical use as fertilizer and bait, the crab’s blue blood is used to ensure the safety of intravenous medical procedures. In theory, the blood harvest should not kill the crab, or at least not many, but Cramer’s research suggests another story—and so the red knot’s fortunes rise and fall with the crab’s. Cramer walks and talks with a wide band of scientists and naturalists who are working against the clock to save the red knot, because if this shorebird disappears, it won’t be the only one, and we cannot predict the consequences. “The foundation of food webs may not be apparent until they fray,” she writes, citing the disappearance of the passenger pigeon with the rise of Lyme disease. (Read the book to discover the connection.) When an extinction occurs, there is no way to know which species will be the next to cling to the hands of time. 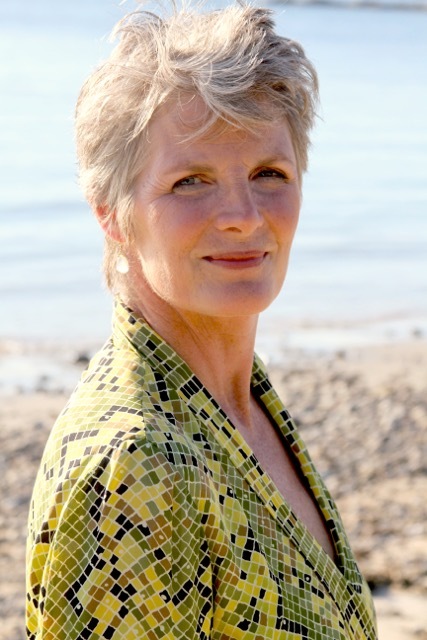 JoeAnn Hart, a long time Gloucester resident, is the author of the novels Float and Addled. Her review first appeared in Orion, September/October, 2015. Photo by Brendan Pike, Gloucester.